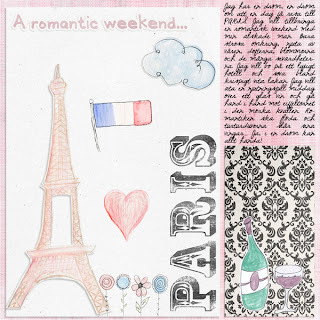 One of my dreams is a weekend trip to Paris with my husband. 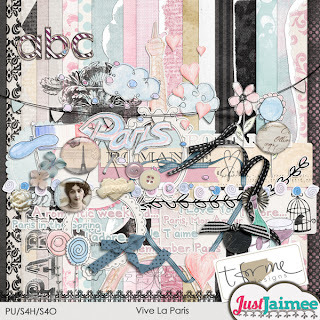 A new collab by t for me design and Just Jamiee is called "Vive la Paris" and what kit could be more suitable to scrap a page with this dream? 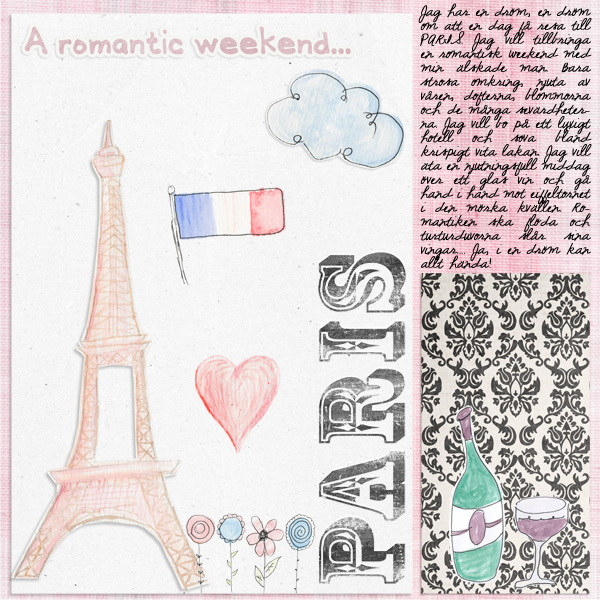 Right now this huge collab is 20% off (= $ 5.60) at both SugarHillCo and MScraps! My first non-photo layout, but certainly not the last!